In December 1911, a group of local businessmen lamented the rapid changes taking place in the business world and their own limitations in keeping up with the latest management techniques. There were no MBA programs at the time, and few business schools of any kind. In order to stay competitive, they sought a way of improving their knowledge of sales techniques, marketing, employee management, and ways of streamlining the management of their firms. 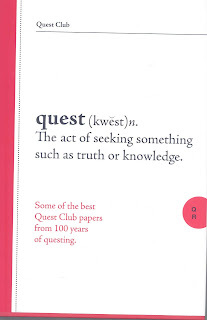 To achieve these goals, they organized a new club, known as the Quest Club, where they could meet to hear lectures, both from outside experts as well as among their own membership. They also organized their own circulating library of business and economic books. The club model was similar to that of the lyceum, which had been popular across America in the mid-19th century, where gentlemen read books and listened to lectures as a means of self improvement. The club became popular. Many local business leaders joined (by invitation only), and eventually the membership expanded to include a variety of other professions, including lawyers, architects, clergy, physicians, and educators. With the expanding membership came more variety in the papers presented (which were now assigned to the members to present). Club members heard papers on current events, literature, the arts, and the physical and social sciences. Over the years the club discussed a variety of issues of importance to the city, including elevating the railroad tracks, establishing the Fine Arts Foundation, and creating a new university that eventually became Indiana University-Purdue University at Fort Wayne. The club voted to include women as members in 1993. Today, the club continues to adhere to its founding principles of life-long learning, a love of research, providing a forum for wide-ranging discussions on controversial issues, and civil discourse. 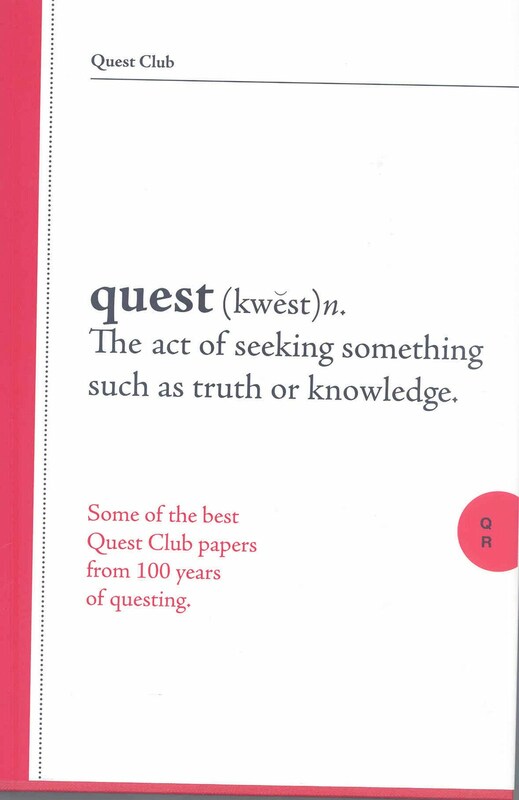 As the club approaches its centennial, it has published its second book, Quest Club: The First 100 Years. The book includes a variety of great essays from its past and covers a wide range of subjects: poetry, civil religion, Kurt Vonnegut, Stephen Sondheim, the mystery of Stradivarius violins, jazz, cosmology, and Lincoln's Second Inaugural Address, to name just a few. The book's Foreword was written by Allen Steere, a long-time executive with the Lincoln National Life Insurance Company who passed away recently at age 102. The book is available at the History Center's Gift Shop for $25. The eclectic mix of essays symbolizes the diversity of the club's focus over its past century and is itself a great souvenir of Fort Wayne history.